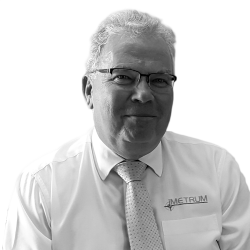 Imetrum® is a globally recognised leader in the field of non-contact video measurement systems. Its patented sub-pixel pattern recognition technology, Video GaugeTM delivers fast, ultra-high resolution measurement of displacement, rotation, strain and extension on any material or structure. Raised £75m venture capital funding to buy the global operations of Marconi Applied Technology (rebranded as e2v), successfully floating on the FTSE market 2 years later and recently acquired by Teledyne Technologies for £620m. Mentored and coached a wide range of companies as part of the Dorset Business Mentoring scheme. Raised £150k in SEED funding to underpin the finances of the business, allowing it to develop a global reach. Since 2008, Imetrum has grown 25% year on year and remains profitable and debt free.